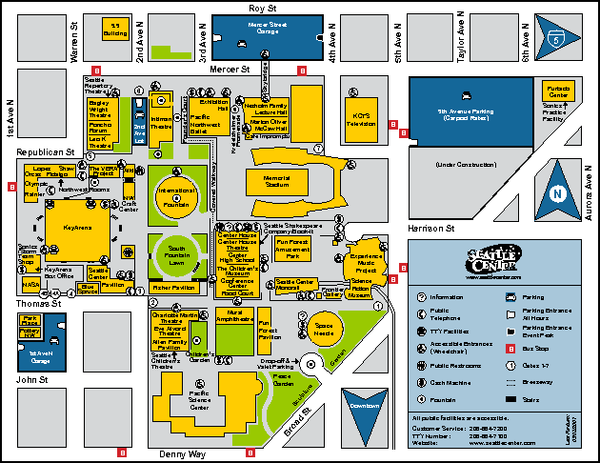 Map of points of interest in Seattle Center. KeyArena, the Space Needle, theaters, parking and museums are shown. 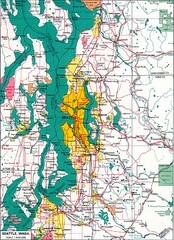 Downtown Seattle map of biotechnology companies. 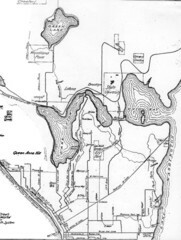 Tourist map of Queen Anne, Washington. shows all businesses.